Azure Functions allow the creation of Serverless event driven applications with minimal effort. 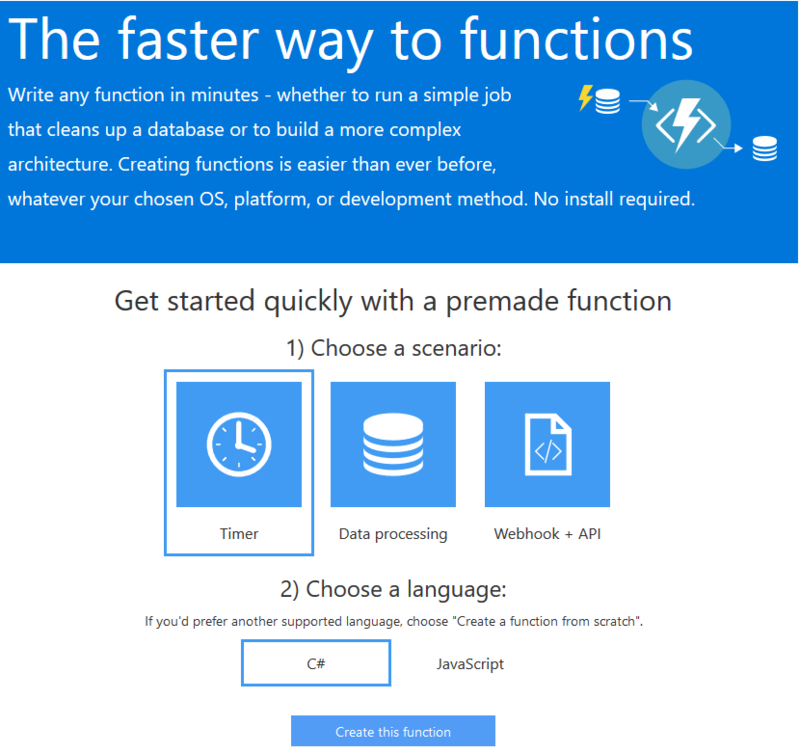 We can create Azure Functions using C# (or other languages) right inside the Azure Web app. Functions sit inside a function app and each function can be configured to be executed in response to a number of triggers such as a BlobTrigger, EventHubTrigger, etc. One of the triggers is the Timer trigger that can be configured to execute the function on a specified schedule. To get get started, once you’ve created an Azure account and logged in, head to http://functions.azure.com/ and this will allow a quickstart experience to develop your function (you may be asked to create a new Function App as a container for your functions so go ahead and follow the prompts to do this). Click “Create this function” and you’ll be taken to the editor. In the code section (within the Run method) we can write code that is executed when the function executes. Clicking on the Integrate tab allows the specification of the schedule in CRON format. A function can have Outputs, one of which is a Twilio output. At the time of writing this is in an early beta/experimental phase and I couldn’t get it to work correctly. 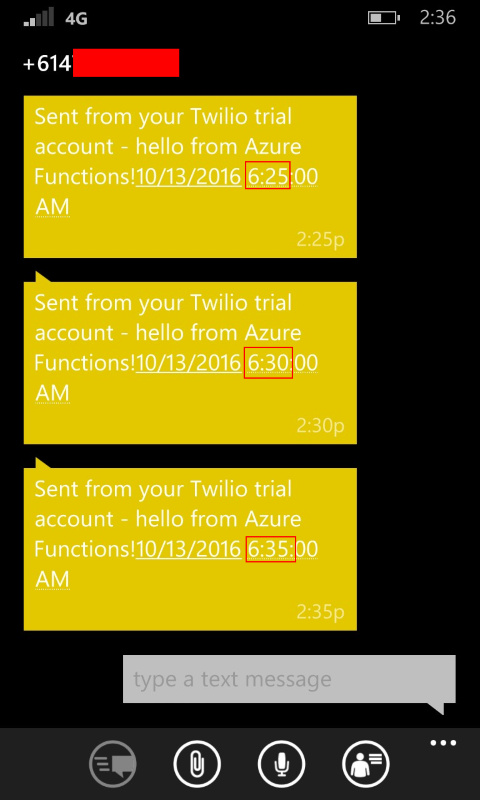 However because we can write C#, we can send an SMS by using the Twilio REST API. You need to sign up for a Twilio trial account and this will give you a Twilio AccountSID and an authorisation token. 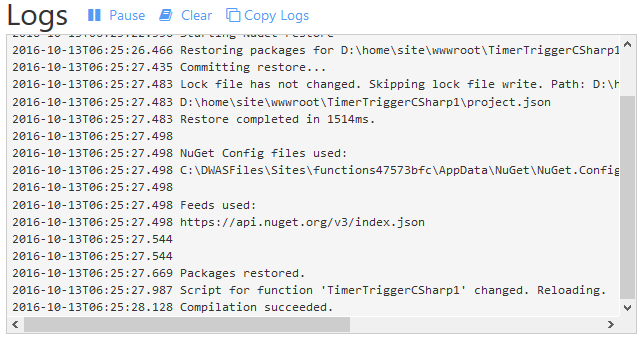 Click Save and you’ll get some compilation errors because we haven’t yet added the Twilio NuGet package to be used by our code. Now every five minutes you’ll get a text message sent! My latest Pluralsight course is now available for viewing. 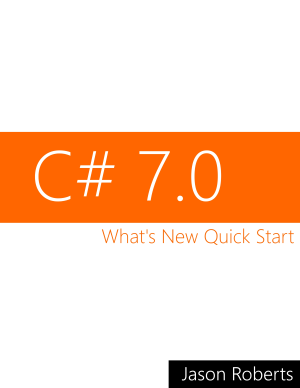 It covers the fundamental aspects of working with nulls in C# code. 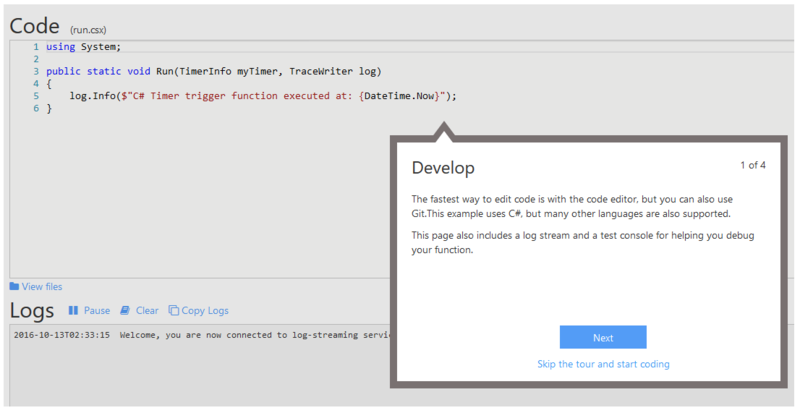 Utilizing the dynamic features of C# and the Dynamic Language Runtime (DLR), among other things, allows C# programs to interoperate with other dynamic languages built on top of the DLR. For example, Python has the ability to chain operators, for example the expression “10 < 15 < 20” returns true: 10 is less than 15 and 15 is less than 20. To use a chained Python expression from C# code, IronPython can be used. To get started (in this example a C# console application) first install the IronPython NuGet package. This allows the application to interoperate with Python code. To learn more about how C# makes dynamic possible, some potential use cases, and more detailed on implementing custom types check out my Dynamic C# Fundamentals Pluralsight course. UWP apps can take advantage of the Audio Graph API. This allows the creation of audio nodes into an audio signal processing pipeline/graph. Audio flows from one node to the next with each node performing a defined task and optionally using any applied effects. One of the simplest graphs is to use an AudioFileInputNode to read audio data from a file and an AudioDeviceOutputNode to write it out to the device’s soundcard/headphones. There are a number of nodes provided out of the box including the AudioDeviceInputNode to read audio from the microphone; the AudioFileOutputNode to output audio to a file, and even AudioFrameInputNode and AudioFrameOutputNode to perform custom audio sample processing as part of the graph. As the name suggests, a graph can branch out and recombine as required; for example sending input to 2 other nodes in parallel and then recombining them into a single output node. Audio effects can also be added to nodes, such as the pre-supplied echo, reverb, EQ, and limiter. Custom effects can also be written and plugged into the graph by implementing the IAudioEffectDefinition interface. Now when the app is executed, the user can choose a file, this file is then played with added reverb. Check out the MSDN documentation for more info. C# provides pre-supplied dynamic types such as the ExpandoObject. It is also possible to create new dynamic types or add dynamic capabilities to existing custom classes. One of the core interfaces that enables dynamic behaviour is the IDynamicMetaObjectProvider interface. Whilst this interface can be implemented, an easier way to create a custom dynamic class is to inherit from DynamicObject class. The DynamicObject base class provides a number of virtual methods that allow an instance of the derived class to respond to dynamic operations such as getting or setting the value of a dynamically added property or invocation of a dynamic method. The following simple example allows adding of arbitrary dynamic properties at runtime. The class overrides the TrySetMember and TryGetMember virtual methods to provide the behaviour. Notice that these methods have a binder parameter that gives information about the dynamic operation that is being attempted, such as the name of the property (binder.Name). Also note that the methods return a Boolean value to indicate to the runtime whether the dynamic operation succeeded. d.Name = "Sarah"; // TrySetMember called with binder.Name of "Name"
d.Age = 42; // TrySetMember called with binder.Name of "Age"
To learn more about how C# makes dynamic possible, some potential use cases, and more detail on implementing custom types check out my Dynamic C# Fundamentals Pluralsight course.